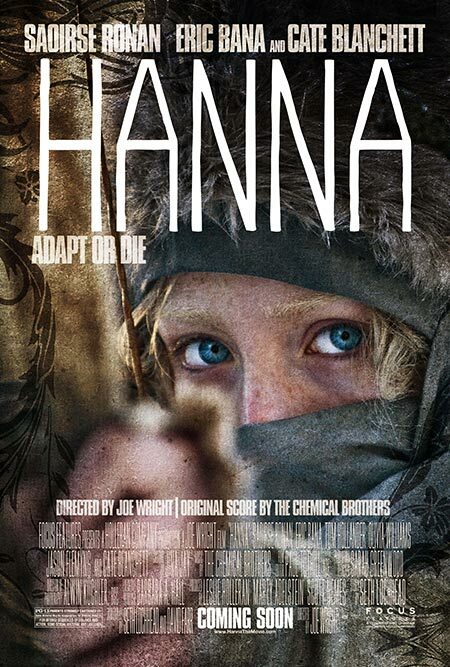 Synopsis: The title character of this adventure thriller, filmed in Europe, Hanna (Saoirse Ronan) is a teenage girl. Uniquely, she has the strength, the stamina, and the smarts of a soldier; these come from being raised by her father (Eric Bana), an ex-CIA man, in the wilds of Finland. Living a life unlike any other teenager, her upbringing and training have been one and the same, all geared to making her the perfect assassin. The turning point in her adolescence is a sharp one; sent into the world by her father on a mission, Hanna journeys stealthily across Europe while eluding agents dispatched after her by a ruthless intelligence operative with secrets of her own (Cate Blanchett). As she nears her ultimate target, Hanna faces startling revelations about her existence and unexpected questions about her humanity.